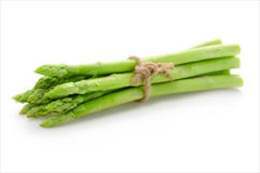 Green asparagus is eaten worldwide as a popular fresh vegetable due to its high nutritional values. However, its respiration rate makes it particularly susceptible to postharvest perish. Moreover, asparagus is easily infected by the Fusarium species causing stem and crown, resulting in the decay of postharvest asparagus. Application of chemical fungicides, such as benomyl, is controversial in many countries due to health risk concerns, although it is by far the most effective method to control postharvest diseases. Chitoly™ AF fungal chitosan coating could act as an attractive preservative agent for postharvest green asparagus owing to its antifungal activity and its ability to stimulate some defense responses during storage.